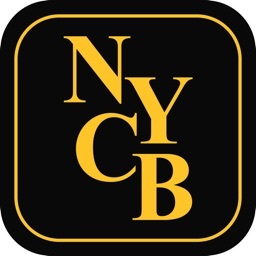 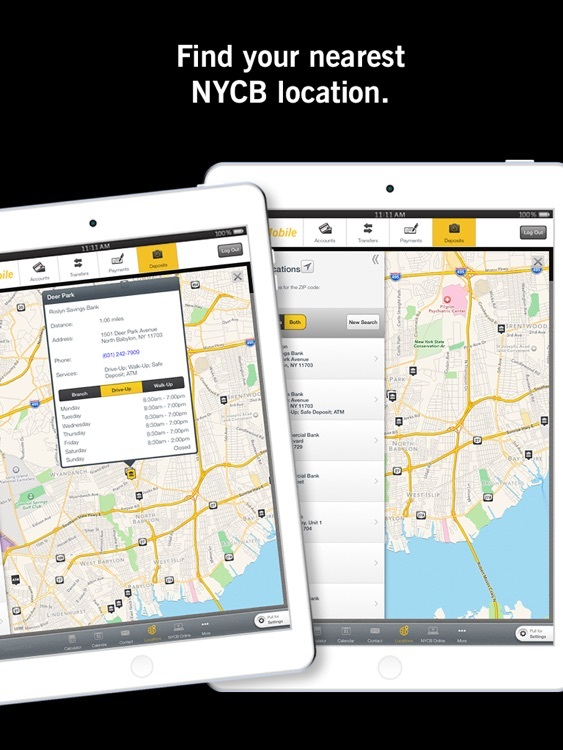 NYCB Mobile®– Banking on the Go! 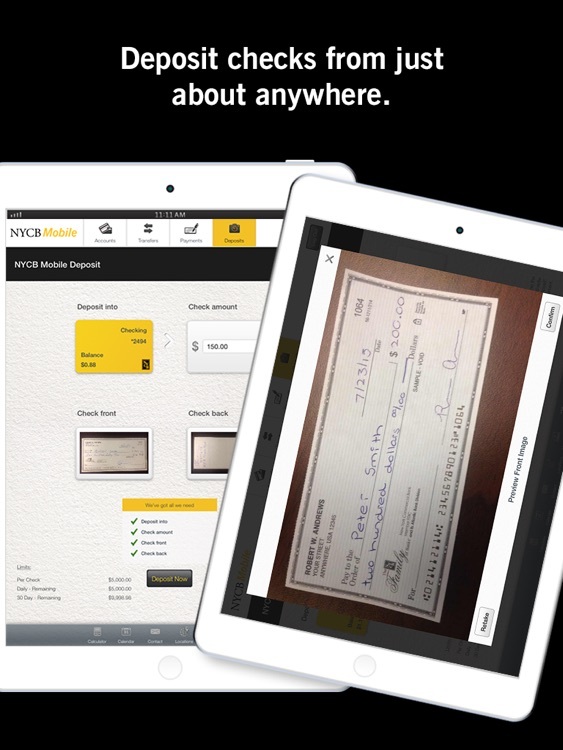 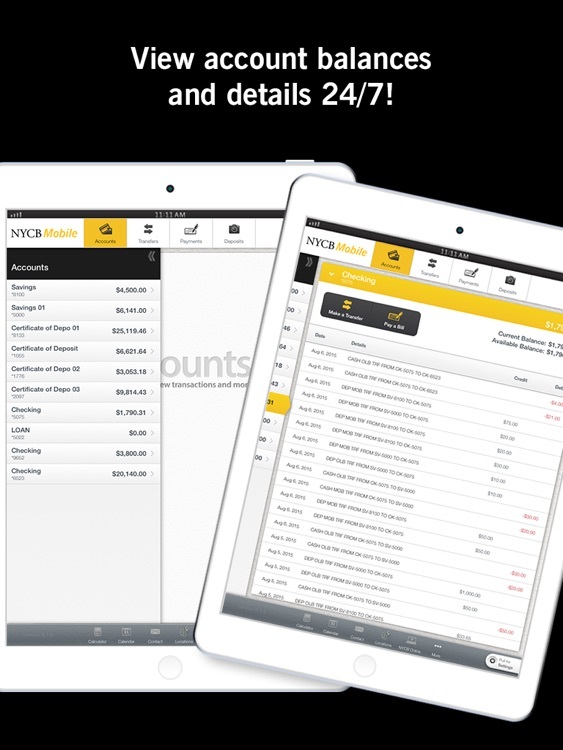 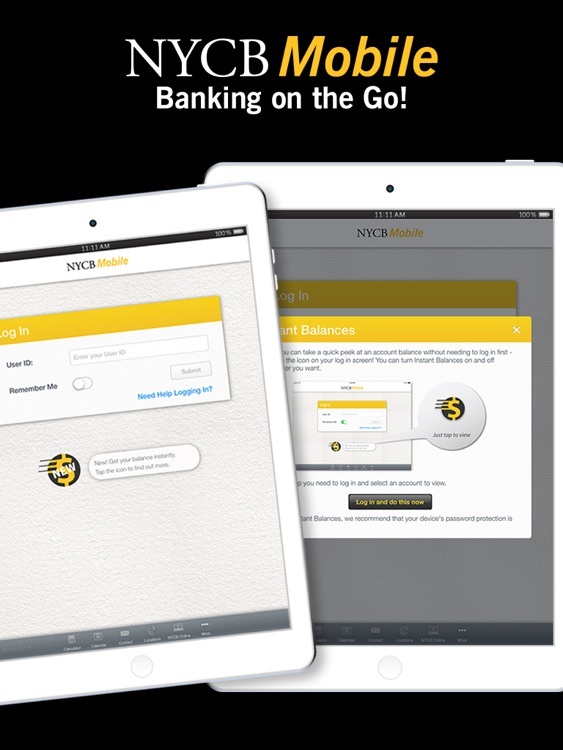 A safe, secure and convenient way to manage your money from virtually anywhere, at any time. 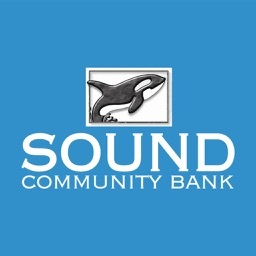 New York Community Bank ranks among the largest thrifts in the nation. 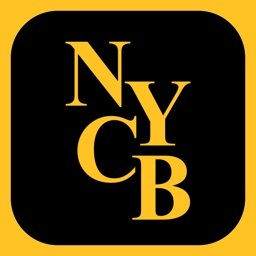 Our roots go back to 1859, when we were charted by the State of New York in Queens, a borough of New York City. 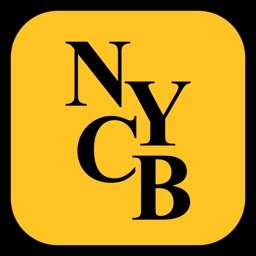 Today with over 250 branch locations throughout the New York Metropolitan area, Long Island, Westchester County, New Jersey, Ohio, Florida and Arizona, we operate through eight local divisions - Queens County Savings Bank, Roslyn Savings Bank, Richmond County Savings Bank, Roosevelt Savings Bank, Atlantic Bank, Garden State Community Bank, Ohio Savings Bank and AmTrust Bank –each with a history of service and strength to the communities they service. 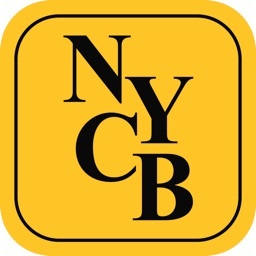 For more information visit us at myNYCB.com or call us at (877) 786-6560. 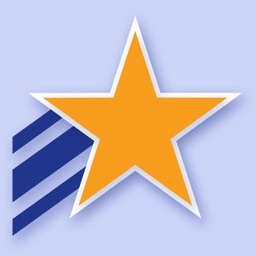 * Subject to certain limitations. ** Deposits made via NYCB Mobile Deposit may appear real-time in Transaction History however availability of funds is subject to Bank review. 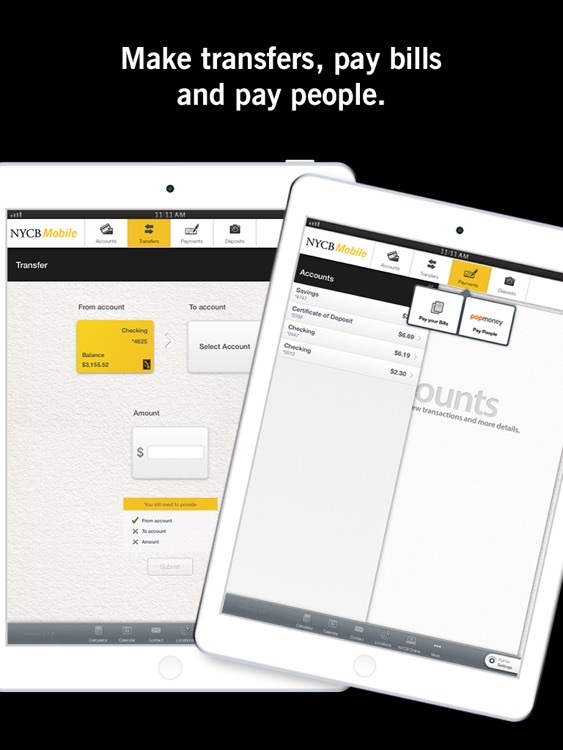 Deposit limits apply.